Do you really want to delete your Facebook Profile? Some time Facebook annoying as people generally upload only happy moment of their lives and when you see their photos then you more feel they are more successful, happy and better than you. So that thing make you nervous & you feel to go off from Facebook permanently. Some time people also leads to severe addiction of Facebook like if you go for study or work but again and again Facebook comes in between and disturb you. So any way it break your concentration and by the time you realize it then it’s too late. You will finding half of your working or studying time waste in just work like scroll page from up to down, like comment or share other thoughts and as per one survey 50 percent of 18-24 year olds go on Facebook when they wake up in morning. Privacy concerns also one of the important reason as you might heard many high celebrities profile get hacked so may be other people also want to go off from Facebook. You are also one who are facing all such problems & want to delete your profile then you can go ahead and learn how to delete Facebook account but before delete I recommend you to please download Facebook data and to achieve this follow below steps. 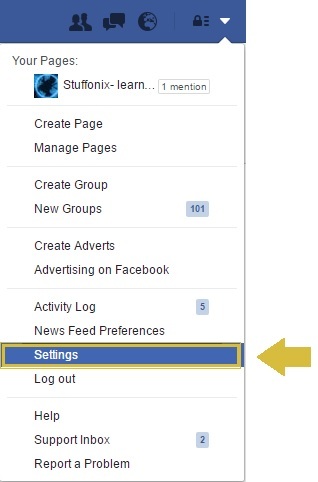 Click on Facebook Setting option by moving on down arrow at top right corner as below. Now click on ‘Download a copy’ link at center bottom side. Now click on start my Archive button so it started download file in zip format. You know? You can also use your Facebook account as earning source and if you are not aware how then please read Best Ways to Make Money from Facebook and instead of deleted better to start making money. Once your downloaded get complete then you can go ahead and delete your Facebook account. So in order to achieve this you have to follow below steps. Firstly log in into your Facebook profile and click on Delete my account. then click on Button Delete my account. This will delete your Facebook profile permanently. But I recommend better to deactivate your profile for some time and when you feel everything ok then login again to activate. If you are not aware then read how to deactivate Facebook profile. At last just I want you to understand the difference between deactivate and permanently deleting your Facebook account, So when you temporary deactivate your Facebook account then Data always present in Facebook server and once you login again then it get activated . while Once you delete your account then you will never get chance to reactivate and your photos, messages, posts and all other information are gone forever. 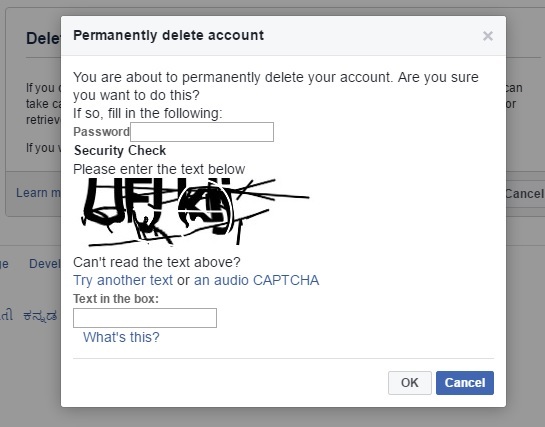 So I hope this post help you and you will be able to delete Facebook account permanently.